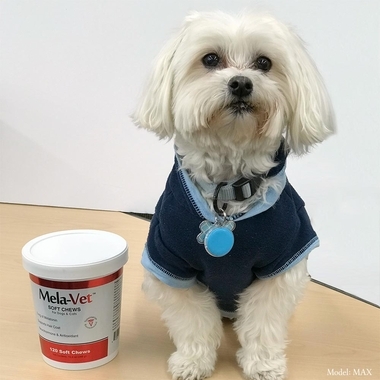 Mela-Vet™ contains the hormone melatonin. 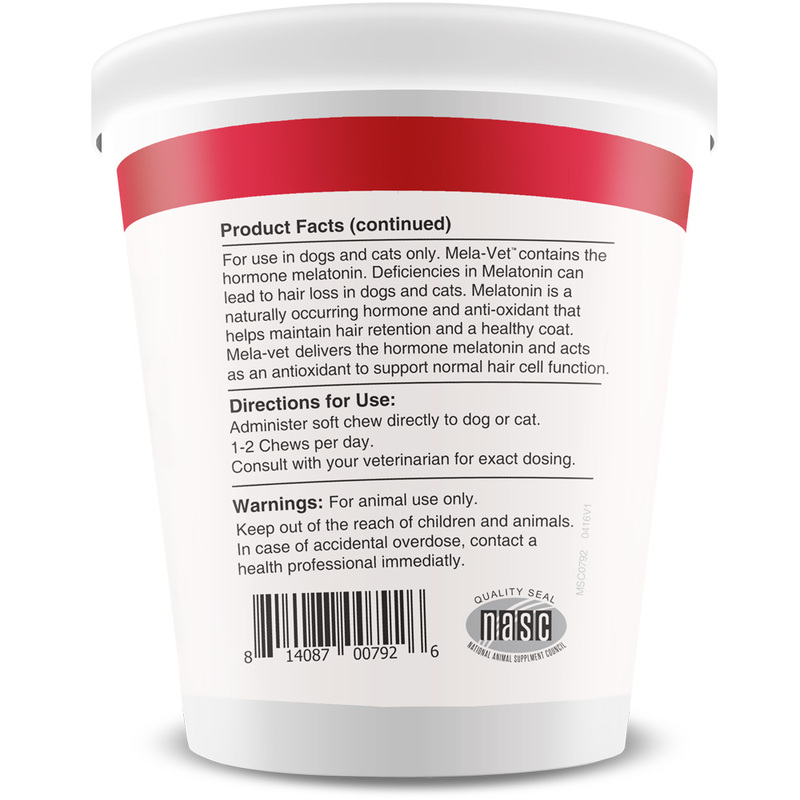 Deficiencies in Melatonin can lead to a hair loss in dogs and cats. 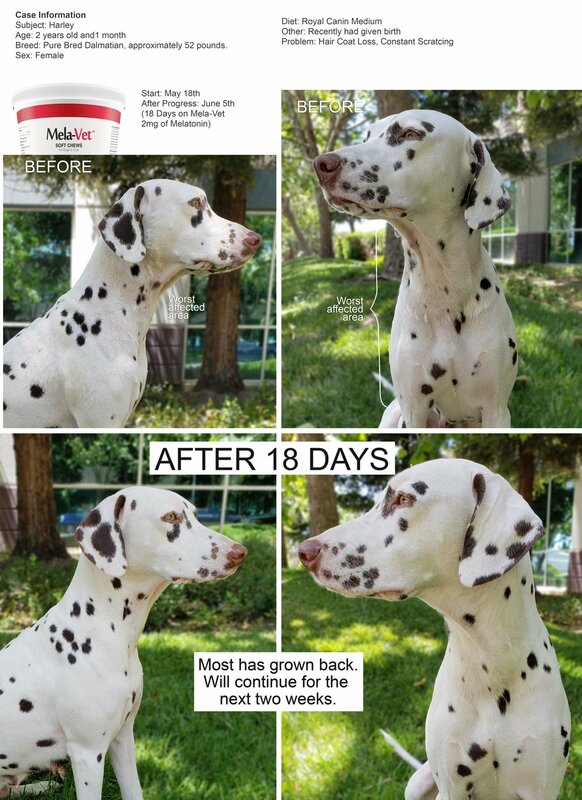 Melatonin is a naturally occurring hormone and anti-oxidant that helps maintain hair retention and a healthy coat. 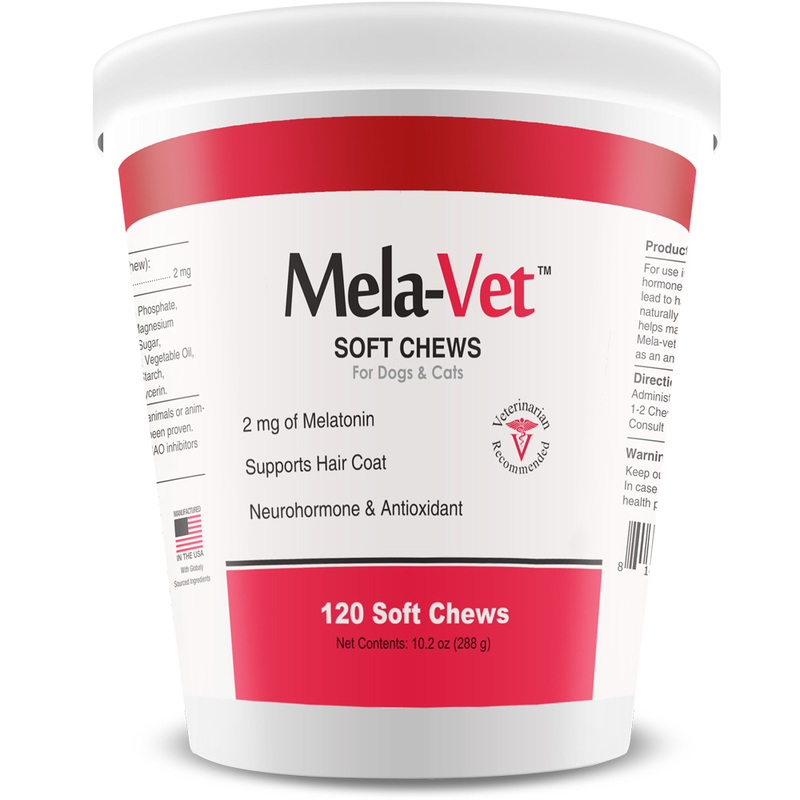 Mela-Vet delivers the hormone melatonin and acts as an antioxidant to support normal hair cell function. 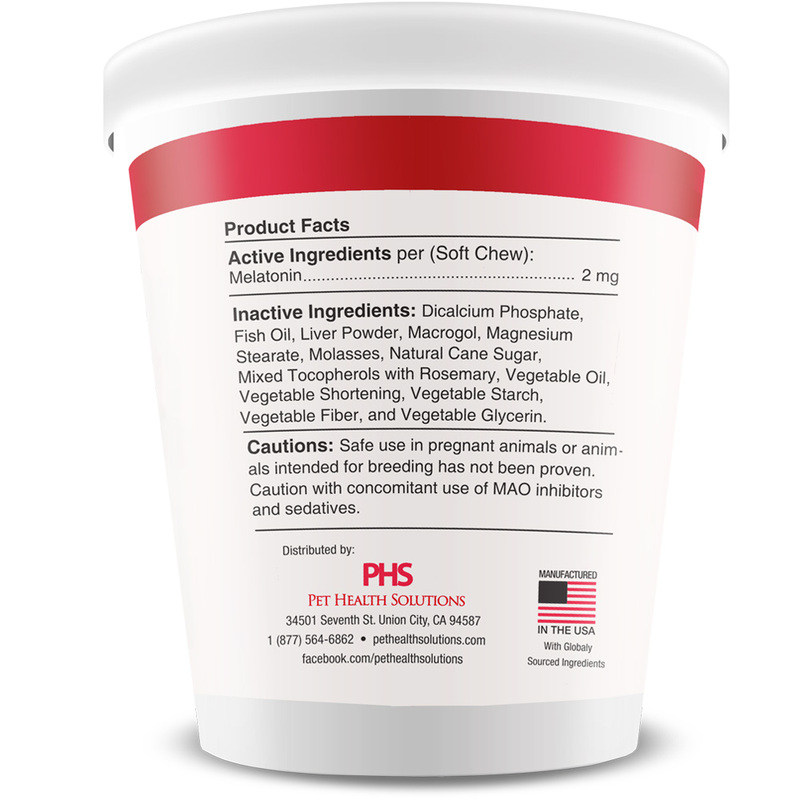 Ingredients: Dicalcium Phosphate, Fish Oil, Liver Powder, Macrogol, Magnesium Stearate, Molasses, Natural Cane Sugar, Mixed Tocopherols with Rosemary, Vegetable Oil, Vegetable Shortening, Vegetable Starch, Vegetable Fiber, and Vegetable Glycerin. 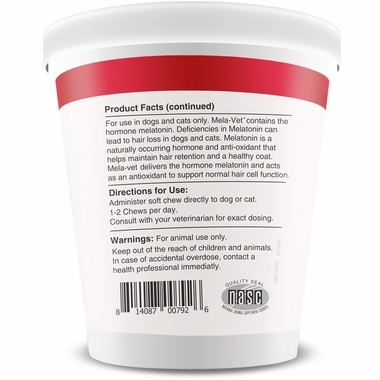 Administer soft chew directly to dog or cat. 1-2 Chews per day. Consult with your veterinarian for exact dosing. CAUTIONS: Safe use in pregnant animals or animals intended for breedign has not been proven. Caution with concomitant use of MAO inhibitors and sedatives.